Reawakened begins with Lilliana Young is a smart New York City high school student, raised in wealth by non-existent, but overbearing parents. Lilli has heeded her parent’s advice her whole life and stayed safely within the boundaries they have established. By doing as they say, she is afforded relative “freedom” to do what she wishes. Self-described as careful and thoughtful, the Phoebe we find at the beginning of this novel is surprisingly sheltered for someone who has free reign on the world—this is partly her overbearing parent’s fault, but also Phoebe’s fault for never daring to challenge their desires. She’s lonely and feels trapped by this life of relative freedom. She has yet to come out of her shell. Patrick Ness will be touring North America in support of his new novel “The Rest of Us Just Live Here” which comes out October 6th. 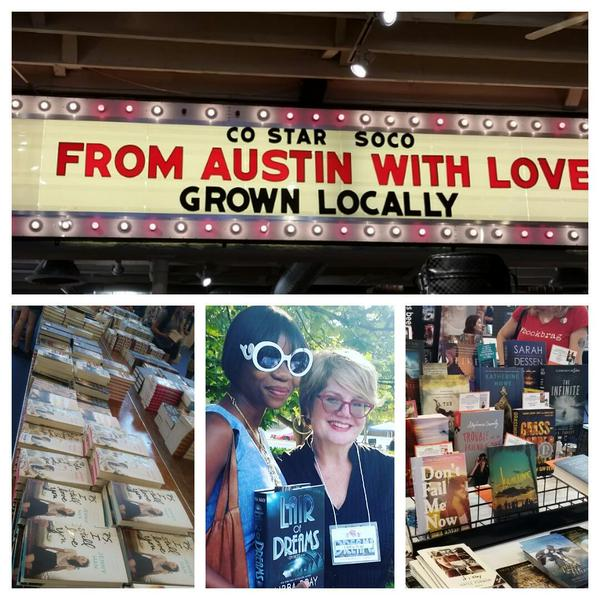 Last weekend YA Wednesdays hit the road to Austin, Texas to attend the Texas Teen Book Festival . The Texas Teen Book Festival (TTBF) is a one-day event that “celebrates the teen reading experience by inviting fans to engage with some of the most popular and critically acclaimed young adult authors in the country”. TTBF is a close sponsorship between Austin best indy book store BookPeople, Humanities Texas and St. Edwards University. This one day event packed a lot in with workshops and talks with some of the hottest names in YA literature. Mechanica by Betsy Cornwell is a steampunk, feminist retelling of the classic fairy tale, Cinderalla. Our Mechanica, formally known as Nicolette Delacourt Lampton, or Nick for short, loses her mother at an early age and then her father very quickly thereafter once he’s remarried. This leaves her in the “care” of her stepmother, Lady Halwig, and her even worse stepsisters, The Steps. Nick is quickly divested of her status as a Lady and becomes the Halwig maid. She accepts her fate and secretly puts her mother’s old house cleaning inventions to use in aiding her with all her duties. But the delivery of a letter from her deceased mother on her 16th birthday, along with the Royal invitation for a technological exposition (and ball), changes her focus and her fate.